Who said that math couldn't be emotional? Watch this father react after his son brings home a C mark. I really like this post about giving a real reason to use ratios. Check it out: "Give them a recipe that involves two quantities, such as lemons and cups of sugar and ask them how to make more lemonade that tastes the same and less lemonade that tastes the same. Have them record different values in a labeled table.". See more examples of this train of thought. Thanks to Dan Meyer for this one. 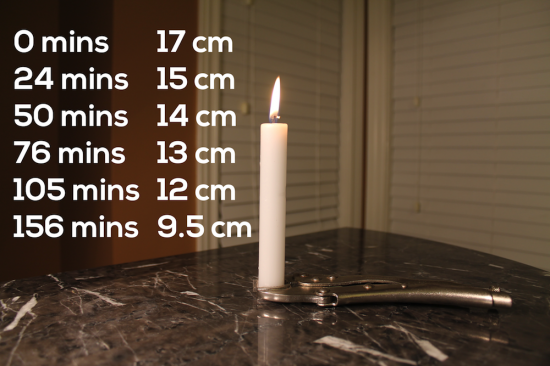 The candle is burning at one end at Tap into Teen Minds with another three act math task. Extrapolation, interpolation in scatterplots here. Complete with videos and data. 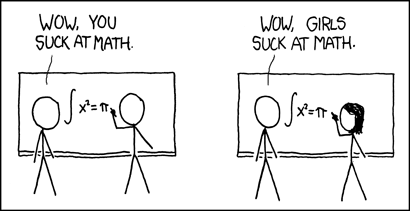 Interesting article about research that suggests why there are fewer women in mathematics than there should be. 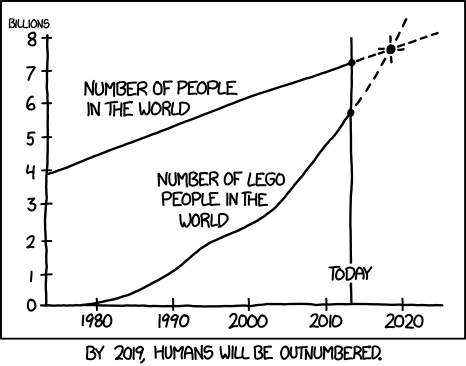 This XKCD comic kinda sums it up. Thanks to Mark Esping for this one. 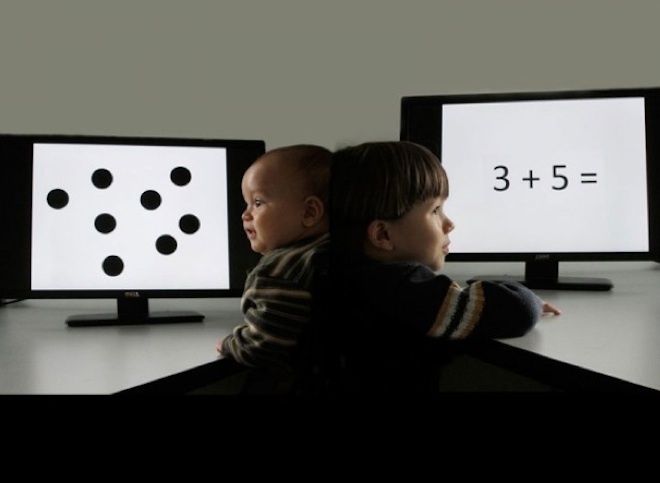 Can you use early math skills to predict skills later in life? There is research to suggest this is true about learning things like fractions but is it true for numeracy skills in babies? Thanks to Edudemic for pointing this one out.